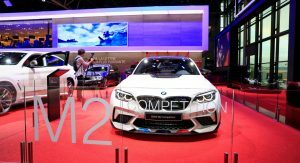 A lot of things are happening at BMW’s stand in Paris, beyond the new 3-Series Sedan, which is ready to print money for the German car brand. 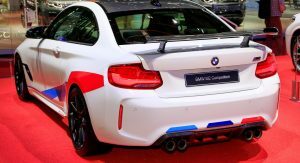 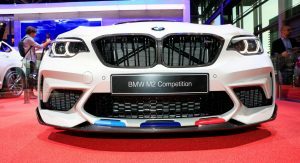 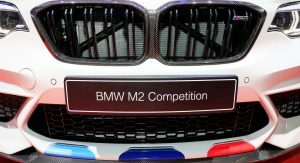 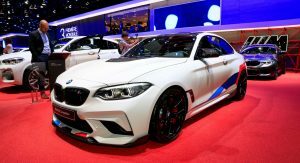 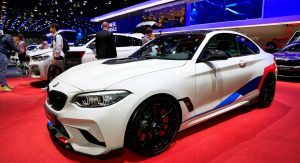 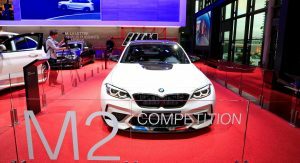 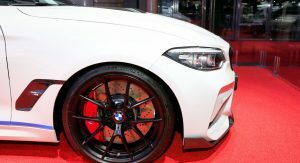 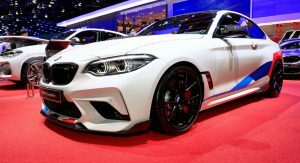 Breathing the same air as the Z4, 8-Series Coupe, X5, M5 Competition and ‘i’ electric cars, among others, is the M2 Competition, which is wearing white for the event that ends on October 14. 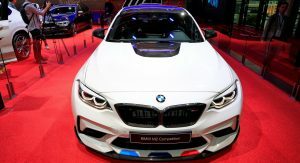 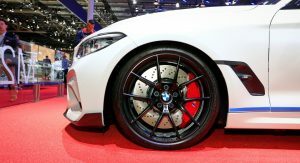 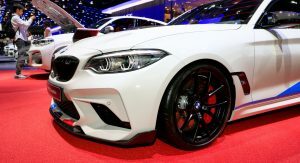 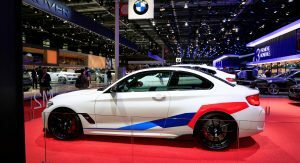 If you noticed that there’s something different about this show floor example, you’re right, as it welcomed a bundle of M Performance upgrades. 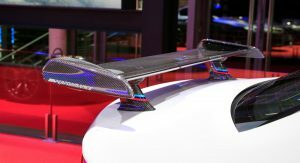 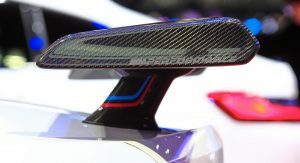 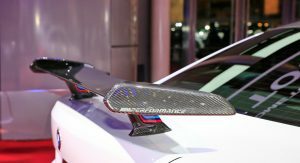 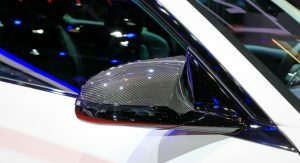 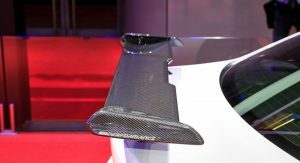 Among them we find the carbon fiber-made diffuser, grille, side blades, mirrors, fender vents, diffuser, boot-mounted wing and roof. 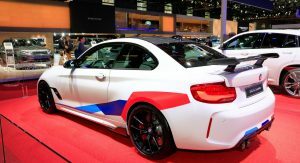 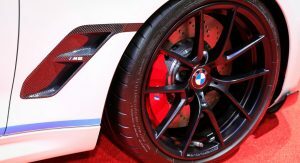 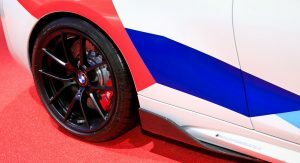 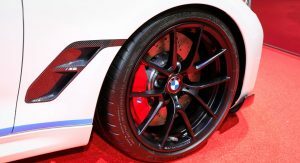 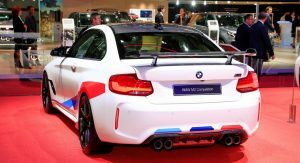 Elsewhere, the exterior of the car is adorned with the M specific colors that give it a racier vibe. 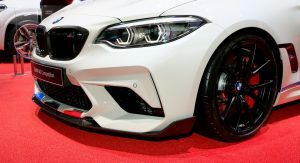 In base form, without the aforementioned parts, pricing starts at €61,900 ($71,479) in Germany, £49,805 ($64,705/€56,028) in the United Kingdom and $58,900 (€51,000) in the United States. 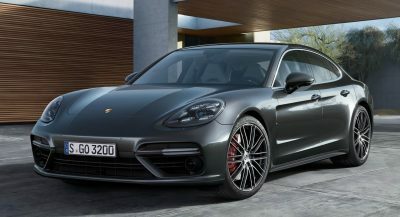 For the money, customers get a lot of car, starting with the biggest change over the pre-facelifte version: a new engine. 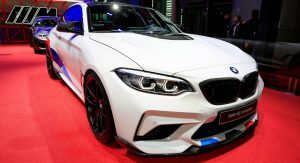 Shared with the bigger M3 and M4 models, the twin-turbo 3.0-liter straight-six produces 410 PS (405 hp / 301 kW) and 550 Nm (406 lb-ft) of torque. 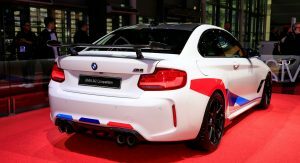 BMW says the M2 Competition goes from rest to 100 km/h (0-62 mph) in 4.0 seconds, and maxes out at 250 km/h (155 mph). 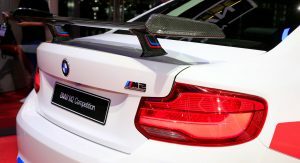 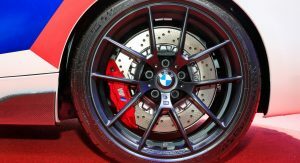 Top speed can be increased to 280 km/h (174 mph) with the optional M Driver’s Package. 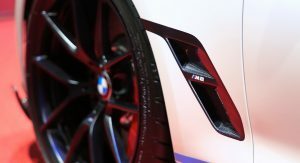 That’s a gorgeous front end. 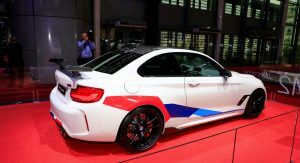 Why couldn’t the new G20 3 Series get that same treatment?!?!? 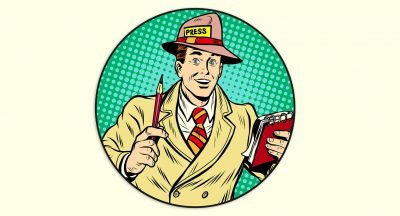 They are experts at milking money from their customers.